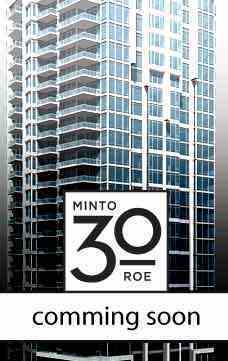 Minto 30 ROE By Minto Group Inc.
Minto 30 Roe is coming soon to 30 Roehampton, and it's going to be fantastic. At the heart of Yonge & Eglinton, this 34-storey condominium will feature stunning architecture by Rudy Wallman, and sophisticated interiors by II by IV Design. With an amazing location, fabulous design and exciting amenities, there are so many reasons to love Minto 30 Roe. Register today and stay tuned as we unveil them one by one. Builders : Minto Group Inc.
Minto 30 ROEBuilder(s): Minto Group Inc.